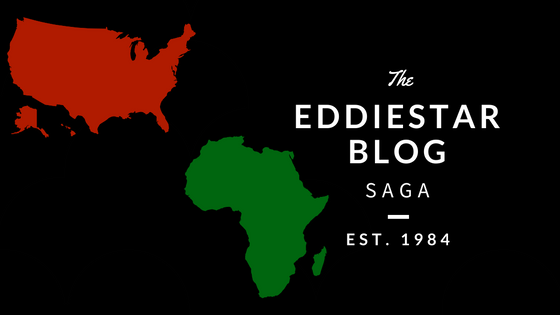 Eddie Star Blog – If I dont make you uncomfortable, than I've failed. Well, I finally have some great news ladies and gentleman — The mother in law has moved out (for now). I am sure that you guys remember the struggles of me dealing with the awkward living situation, but she is at a new residence. She moved in March of 2016, when she moved into the apartment with us she made it appear as though she wouldn’t be with us for a long time. She didn’t give us an estimated time she would leave, but she appeared to be very optimistic about her finding a new spot. This unsaid date of her leaving caused anxiety and frustration on my end because I desperately wanted to speed up the process. Not soon after she moved in we had the incident that concerned her storage fees and junk, I wrote about this in the MIL tag earlier last year. This was the point of no return in my books, because I felt the mother had no drive to move out. The discomfort of her mom living in the house with us caused animosity between me and my wife because I felt she didn’t handle the situation similar to the way that I would have. This was incorrect behavior on my end because she doesn’t have a relationship similar to what me and my mom have. She is far more reserved when approaching her mom. We decided to purchase a home to pursue the American dream. I agreed the mother should live with us initially to be there as a theft deterrent. We didn’t want to be vulnerable to a pattern recognition by potential robbers and burglars. The whole time I didn’t speak with the MIL. SHE FINALLY GETS A NEW PLACE TO STAY AT…..BUT, THE PERSON WHO SHE IS STAYING WITH IS IN THEIR 90’s. NO GUARANTEE HOW LONG THAT WILL LAST. The MIL is spilling the beans to my wife after she moved out about the way she felt I mistreated her. Felt that she was made to feel like crap because I ignored her. Felt we had a better relationship before she moved in. Wife is pregnant by the way. I don’t deny that I refused to speak with her, but I never asked to be placed in an awkward situation. It’s unfortunate that the situation happened the way it did, but that type of stuff happens when you move in with someone. We need to move on, life is short. I hold no animosity. My wife says that the MIL still feels jaded. Wife even insinuates that I apologize. I’m not apologizing for not speaking with her. Period. I am not apologizing for not wanting her in my house, because what I felt was genuine. She isn’t telling me thank you for putting a roof over her head, Internet inside her laptop , and rent free. Let’s move on. Whatever happened, happened. I told yall about Trump. I was clairvoyant. Comes home lays in entertainment room to hear mice scurrying on top of attic. Smfh. Now have to call a pest control company to come out. Wtf!